I don't understand this, sorry. Flagships in every system are updated around these timelines, why is it not enough? Notice, I am not talking about how this plays into the whole "system health" argument, I am talking about particular person buying and using a camera - why would such person want a more frequent upgrade unless they just collect cameras in another GAS bout? also keeping the camera line looking fresh would entice more people and fresh customers to join 4/3rds, it is a business after all and needs to make money to survive. Maybe, maybe not. Releasing cameras of a line that hasn't proved to be successful could have deepened the bleeding. Olympus' decision to make a lateral move in a form of m43 and take the fight with competition into new territory was probably better idea than continuation of a losing battle? Ummm... didn't I address this above? Again, lineup in the 43 which was bleeding money and losing market share was replaced by developing lineup in m43. Remaining camera (flagship) is on schedule for this fall/winter. Whether the whole lateral move is successful is to be found yet, but staying the course was pure suicide, no? Leica made a statement that they due to contractual difficulties with a major supplier they could not continue to develop or service the Digital Module R, and as a result in 2007 R9 was to be cancelled, the DMR was to be no more. Public outrage went so far as to necessitate public meetings over reassurances over Leica. Where in 2009 'R' users were promised an 'adequate replacement'. Soon convincing images purported to be leaked views of a digital R10 were floating around the net, and murky images of scurrying photographers said to be in possession of R10 prototypes were passed around forums. Yet as this information reached a crescendo in 2010 it was announced that R10 wasnt to be, the R mount seemed dead. Kaufmann had decided they wouldnt be joining m43rds, and the Panasonic relationship began to get shaky as Lumix G lenses were released without the usual Leica licensing approval. This was said to be over the Panasonic 7-14 incamera distortion removal. Yet somehow rumours surfaced that Leica was in trouble and Panasonic was said to be a potential buyer. Leica is not a publicly listed company so their actual financial providence doesnt have to be declared. Nobody knew where they stood. Worse yet,nobody knew were Leica stood. Solms had already announced the advanced, the bigger than FF Leica S2 camera and people marvelled at resolution solid enough to make a D800 user hide his rig from his byline. Ideas were still being fielded for a hybrid R (now assumed to be a liveview M8/9 since m43rds was off the table). People over at the LUF expressed continued displeasure over the notion of using an EVF, by now assumed to be a part of the R solution, whatever that was. To this day the R solution hasnt surfaced, but it is discussed still by know tech representatives of Leica. The forum was bombarded by Canon and Nikon trolls armed with 'I told you so' pennants, they told them Leica was dead, that the continued mess that was the R demonstrated Leica's executive inability to run a camera company. They raised suspicion over Leica's finances, they gybed at Leica's inability to make percentage on Japanese statistical data. They compared DxO data with lowly Canon cameras. They made jokes about fonecams. They suggested corruption and deceit. Leica was said to play their cards close to their chest. Fingers were pointed at Leica marketing, blame was associated to the crippled Kodak, former users returned to curse one time friends. Her Kaufmann, at one time the saviour of Leica AG was condemned as a fool and a scavenger. There were daily barrages, constant sniper attacks, Christmas truces, mass breakouts. It was cold freezing hand to hand combat. It was no longer a forum, it was Stalingrad. Over at the rumor site it appears perhaps possible there will be a hybrid without need for an adapter. Kind of hard to imagine, but cool if true. it's because the E-X series is already a bit behind the curve specs wise ( compared to other semi pro DSLR like D300, 7D ) at the time of announcement. Also 3-4 year upgrade cycle is already an eternity in today's tech hungry world. They should offer a incremental upgrade model in between major upgrade similar to what Apple is doing with the iPhone 4 to 4s to 5. Just my 2 cents. The problem with such solutions is that with cameras, not unlike computers, they more often fail sadly and obscurely than -occasionally- succeed spectacularly. I can still remember a computer called the Chameleon that, back in the eighties, offered the possibility of emulating any of three or four computer system. OTOH, if such a solution first and foremost really works -that it is an attractive, functional camera, much as in the case of Nikon and Pentax, the additional feature of being current, but still allowing full use of an additional pool of lenses becomes an attractive selling point. Olympus "supply issues" with the E-5 boil down to the amount of models they made and a press release. There's hardly any evidence to suggest the E-5 sold in droves. I am simply pointing out that it sold better than Olympus expected. It was out of stock, then back in stock, several times here. This was also the case generally, with quite a bit of complaining about availability. I bought an E-5, and have had no issues with it. You will get some blocking up in shadow areas where you have high DR shot (even at base ISO), but there is no 'banding issue' as could arise on earlier bodies such as the E-510 or E-620. Actually there are serious banding issues with the E-5. This has been noted by several people at this point, not just me. It's pretty easy to see. Even a lot of Doug Brown's shot had them. You don't own an E-5, and have no experience with the results from it. My testing only produced banding issues with severe under-exposure in low light -- the same conditions that cause banding issues on any camera. Oh we can certainly discuss it. Surely you didn't hear that from me. My point is that the "issue" (that I have not encountered) has mysteriously become a "non issue" now that the same strategy it is widely used by other manufacturers. Also, recall that most of the "colour moire" problems noted could be resolved by not using poor demosaicing algorithms. No, just facts. Everything I said about the sensor is true- the DR is the same as the e-30/e-620 sensor. The DR is about half a stop better than the E-620 (that I also have used extensively). There's banding (let me know if you want me to post the images or prove it, it's rather easy). I can give you far worse banding and colour-blocking issues from other bodies. If you use a camera beyond its limitations then you may run into trouble. High ISO performance is sub par with the market at the time the E-5 came out. That is certainly true, particularly when compared to the D7000 and K5. 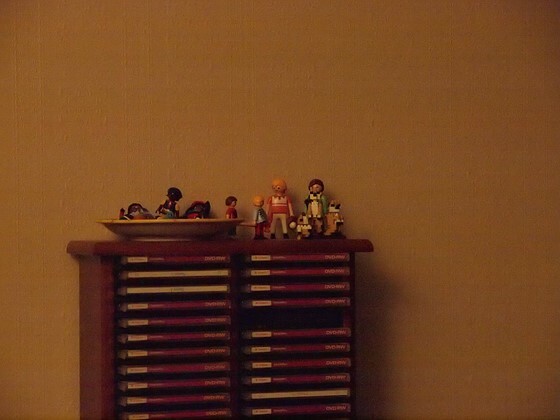 This was the main issue with the E-5 as it made indoor / low-light non-flash use difficult. The main reason I bought the E-M5 and 45 f/1.8 was to have a solution for those situations. It inherits the described by many reviewers as "design by committee" of the E-3 ergonomics. Incidentally, the layout does appear to be nearly identical to the Canon 1D. The DR and ISO was pretty much virtually the E-30's. Slightly better, but not a lot, compared to the E-620. The question is not whether you have "the same sensor" but if that sensor is competitive in the market and asking price at the time of introduction with what the rest of the market is doing. Well, the sensor is smaller than APS-C so it should always have a 2/3 to 3/4 'stop' disadvantage. 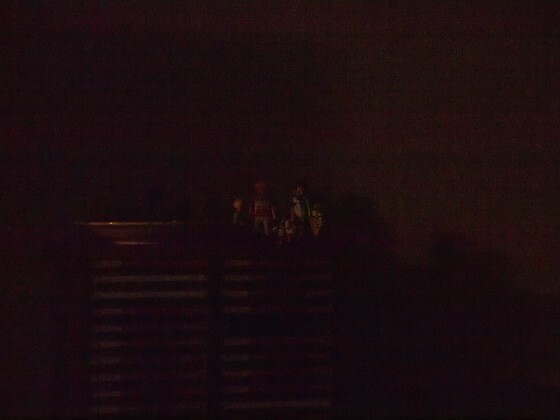 The E-M5 sensor happened to close that gap to virtually nothing until you got to very high ISO settings. As newer sensors appear on APS-C the gap will open out again. If you want to use ISO 6400 and up routinely then APS-C is presently better. In a few years it will be ISO 25600 and up. For the record: I did try the E-5 personally, it's hardly any "theory." The camera itself was ok, but the sensor wasn't. Nothing could have been made more clear on that point than the EM5 new sensor did. Except that I recall your theorising that the E-M5 sensor was no different from the GX1, based on a lot of 'comparison' between entirely different shots. Based on your record, I won't be paying much attention to similar theories WRT future cameras. My guess would be that the 'E-7' would have a tweaked E-M5 sensor, and not show significant improvements over e.g. the E-P5. So it comes down to whether it is worth the US$1700 cost to you or not when the E-P5 is under US$1000 (and, of course, competitive APS-C bodies and low-end 135 bodies are available if you are willing to change system). And I do not think the E-M6 is the answer, just as the E-M5 , despite its performance as a capturing platform goes, just do not have the build and the design as mean for the E-5 users would demand ( well not all E-5 users, but plenty ) and even Olympus themselves admitting that and are voicing of a body that will do justice to the SHG lens. The dilemma with Olympus these days is how to actually able to migrate the customers to this new system. And basically that lies pretty much with 3 key areas. the M4/3 system itself. the 4/3 came to be as a system , with some variety in its depth and lineup, but the M4/3 had been too oriented towards the compactness and lightweight over anything else approach and thus its suffering a lack of providence in other sector what customer might demand and this need to be rectified. My comments and opinions are my own. I am neither a staff member, nor a paid employee, of DPReview. and of the two cameras related to the post, the Zeiss Icon had one mount within another, as it relates to us the 43rds mount would have to allow the m43rds mount to submarine within. Even if you could do that and still provide electrical connection, and recall every function of the lens needs this to work or no aperture, no AF, no proper EXIF etc. Assuming that is conquered the issue then becomes that most m43rds lenses have too wide a barrel to actually go inside a 43rds mount. Not to give up so soon though.... as they also mention Contax AX, which accomplished AF with MF lenses by moving the film plane back and forth within the mirrorbox. Theres a youtube video of it in action here: Contax AF in action (youtube) You can see how something ostensibly quite complicated is so beautiful to watch in execution, and that out of cheap pressmetal parts. Nice one Contax.. I think the electrical connection must happen with both types of lenses, and the mounts must be trimmed so that the m43rds mount fits within the 43rds mount, but the two must be situated very close together, perhaps they toggle out of each others way but both mounts need to be very close to the front surface of the camera. Then in order to make the correct backfocus the sensor entire shifts back and forth to make the correct register difference. AF happens in the normal way by using each lenses focussing apparatus, and the camera would be configured as a mirrorless with an EVF and on sensor AF. an additional possibility might be tempting to over-complication, wobbling the sensor back and forth would provide for a form of pdAF from a pure cdAF system with pdAF software algorithms, I mentioned that before somewhere. It is difficult to predict what they will do, and certainly any well-designed/ well-handling modern-sensored camera - OVF of EVF or hybrid- that will effectively AF and finally provide reliable CAF with FT lenses will be a relief, even a joy. If you landed from another planet some things would seem like wildly impossible ideas, but they are standardised designs that are very effective, some very cheap to execute and are in use every day. Not unusually, Contax failed for a number of reasons, not the least of which was the sensor and image writing were archaic. As to the body in question, it didnt sell very well at all, neither did the fully functioning conventional autofocussing Contax N. I think their problem was a not so well sorted imaging pipeline when such things were still in their infancy, and that eventually they just ran out of money so Kyocera walked away. it's because the E-X series is already a bit behind the curve specs wise ( compared to other semi pro DSLR like D300, 7D ) at the time of announcement. Not only that, but for nearly the entire time that the Olympus 4/3's system has been in existence, the sensor, in my opinion, has been the shot in the foot of a host of innovations that potentially could have put Olympus on top of the market. What good is all the telecentricity in the world if it's recorded on an inferior medium? Back in the days before digital, there was so much emphasis put on the film. Any optical improvements must be made in addition to, and not in lieu of good film. Instead, for the entire time I've been an Olympus DSLR user, we've had to work around the sensor. Now we have one, and of all people, the "pro" camera buyers and users are the last to see it in a body WE can use. Also 3-4 year upgrade cycle is already an eternity in today's tech hungry world. They should offer a incremental upgrade model in between major upgrade similar to what Apple is doing with the iPhone 4 to 4s to 5. Just my 2 cents. The upgrade cycle would not be quite as critical if, as in your point above, the current offering at least started out at the cutting edge of the technology at the time.